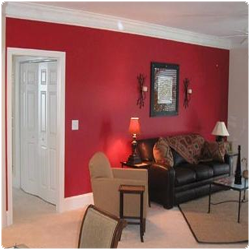 Whether you want to paint one room or your whole house, you have many decisions to make. Our experienced customer service staff will answer your questions, or connect you with someone who can. We�d be happy to send an estimator to your house for a free consultation and estimate. We�ve been painting Katy since 1968. In over 20 years we have many satisfied customers. If you would like to talk with customers about the quality of our service, workmanship, and materials we�ll make the connections. Call us, email us, or stop by our showroom. Painting is our passion and our business. We look forward to talking to you soon.